As an African descendent and also a journalist, it is a privilege to me to be able to show gratitude and to highlight the struggles that my ancestors endured so that I can have a voice today. The yearlong editorial campaign by People with Voices in support of the United Nations International Year for People of African Descent (UNIYFPAD), will allow us to highlight the many voices from around the world that have something to say about this event. Author of Walk Tall- Affirmations for People of Color, Carleen Brice, has highlighted many issues relevant to the UNIYFPAD such as racism; political injustice and discrimination that people of African descent have endured in the past and continue to experience in the present. Brice’s bestselling book offers daily positive messages to build the self-esteem that has been lost as a result of racism and discrimination whether living in the UK or elsewhere in the African Diaspora. However, despite the problems that people of African descent have endured and still endure today, it is important to believe that they can be overcome; that change can be a reality, or in the words of President Obama “yes we can”. I have always been taught that in order to establish where you are going in life, you must first understand where you have come from. This does not mean where you were born but what your history is. The UNIYFPAD will help to educate and enlighten people around the world about the history of people of African descent and how this history has inspired the current generations to strive for independence, self-determination and success. As editor of Perspectives, my role will be to capture what this year means to people of African descent and to encourage them to express their views. 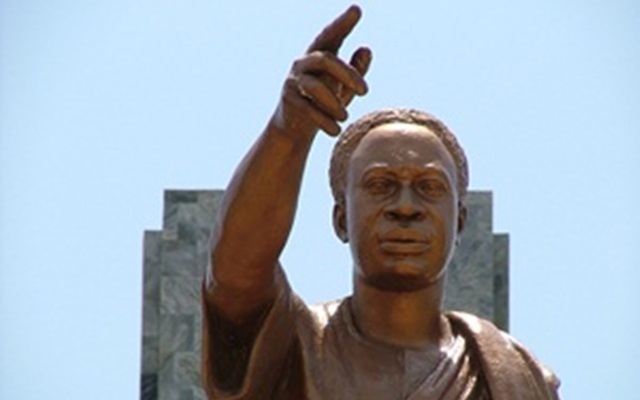 Photo: Statue of Kwame Nkrumah taken by Deborah Gabriel in Ghana in 2005.